Sick of #manels, him-posiums, and manferences? Want to program a better and more diverse conference? Read how the team behind one of the world’s largest marketing tech events did it. It blows my mind that in 2018 anyone programming a conference could devise an all male panel, but #manels still abound, in every facet of professional conferences. For example, the recent BIO Convention — one of the world’s largest events — featured 25 manels! The upcoming AI Frontiers Conferences features so few women speakers that one commenter on Twitter dubbed it a “Manference.” An academic conference next week in Belfast scores 0 women speakers in the entire event! A Him-posium for sure. This publication has had its ups and downs in terms of gender diversity at events — the upcoming Forbes Global CEOs Conference page highlights 35 speakers, only 4 of whom are women. But the 30 Under 30 Conferences promises to have 47% women speakers. In fairness, most conference planners these days know they should be booking more women, but they have a lot of excuses. Often when accused, bookers will throw the lack of diversity at their event right back, saying something like, "Could you please send some names?" Or, they insist, every woman they asked was busy. It’s just too hard to find qualified women, they protest. INBOUND is one of the world’s most popular business events. Each year it attracts well over 20,000 attendees from more than 100 countries to Boston. Programming runs the gamut from inspirational speeches from superstars like Michelle Obama, Shonda Rhimes, or Alex Rodriguez to nitty gritty talks about digital business. 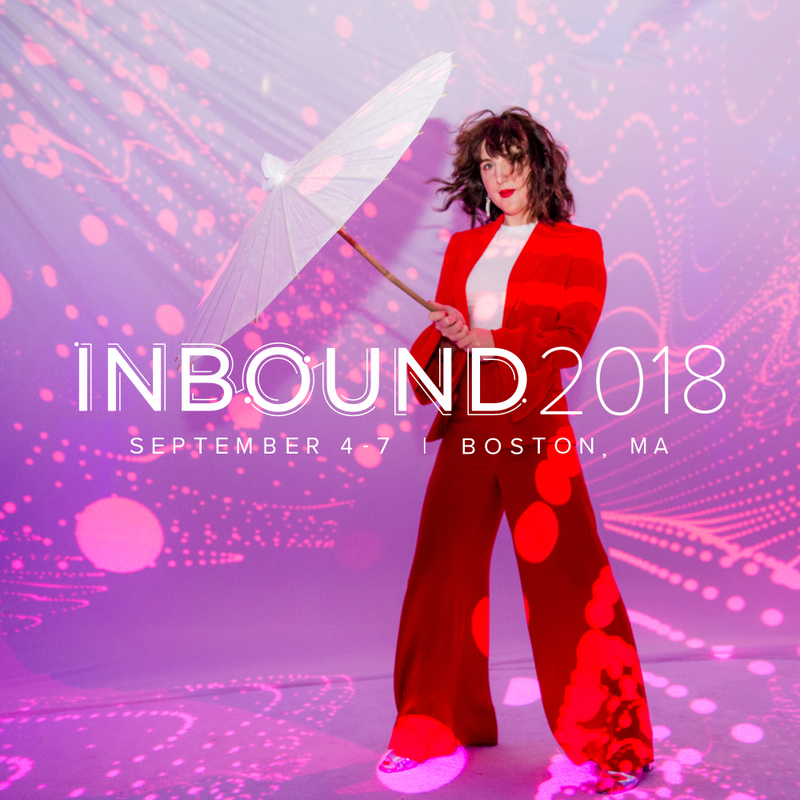 Marketing and sales software company HubSpot hosts INBOUND each year as a giant industry event to celebrate inbound marketing, a term invented by HubSpot to describe the practice of attracting customers by producing social media, email and blog content. INBOUND’s speaker lineup is also diverse. This year, the non profit GenderAvenger presented INBOUND with two Gold Stamps of Approval for their 2018 main stage speaker lineups, and with a Bronze Stamp overall (Disclosure: I consult for GenderAvenger and am a fan). Gender equity is 50-50 across all content and women of color make up 67% of women keynoters, 50% of Spotlight speakers, and 35% of all women speakers of the event’s more than 250 total speakers. After too many years hearing excuses from event programmers, I was curious how INBOUND made it happen. I asked Laura Moran, the INBOUND Content & Talent Team Manager who runs programming for the event to talk me through how she and her team did it. Laura knew INBOUND had to be different. She explains, "Look at pretty much any event lineup and it's full of guys. That is not representative of the actual world that we all live in, and it's certainly not representative of the world that I want to live in." Not to mention, Laura notes, the audience of INBOUND is about 65% female. "We want to make sure that we're putting together a lineup that is representative of the people who are coming, and anecdotally we've seen that if we make an effort to create diversity on the stages, we see more diversity in our attendees as well." As they started planning the 2018 event, Laura’s team set a goal of 50% gender parity. Laura explains that gender equity is something the team has been working towards in recent years but that setting a numerical goal gave the task more urgency. She notes, "I think it's a sensitive subject to say you're going to 'measure diversity' because it can feel like you’re turning people into numbers," but Moran wanted to measure impact. The best way to make progress is to write your intentions down and hold yourself accountable. This year we decided to track gender, race, and nationality in terms of our INBOUND 2018 speakers. We decided to set goals for representation regarding race and nationality that roughly mirror the makeup of our attendees. This year we started with a goal of 30% racial diversity and 10% international. INBOUND has the ability to book superstars who are women of color like TV producer Shonda Rhimes and author Chimamanda Ngozi Adichie, both of whom are speaking at the event this year. Most conferences don’t have that pull. I asked Moran what advice she could when programming the breakouts and non-keynote speaking slots, which aren’t populated by household names. There's no way to get a diverse group of people if the pool that you're selecting from is not diverse. If all we did was run the call for speakers the way we always have, chances are great that the same people who have always applied would continue to apply. What if 500 people apply and 400 are men? The team wanted to make sure that the initial pools were representative so that "we could feel pretty confident that then going in and saying 'okay, these are the right presentations that have been pulled out of this pool would also result in a diverse agenda.'" So Moran’s team did research, tapping speakers bureaux that represent diverse talent, "Facebook groups where speakers from underrepresented groups sort of hang out and share war stories," and let them know to spread the word about the INBOUND call for speakers. In addition, Moran says, "we do a decent amount of proactive outreach on our own. We say, we want to make sure that this certain topic is represented at the event, let's go find the right people. Or we'll sit and talk about fill in the blank." Moran and her team also consulted their colleagues at HubSpot: "We have 2500 people here to pick their brains on where to go and who to talk to. It definitely started a little campaign inside of the company," which is full of media savvy trend spotters. I asked Moran how she keeps tracks of all the names floating around her head. We live in Google Drive. We've got a lot of running lists; we've got ideas that we couldn't put into place this year or came up too late in the process. So it’s 'let's write that down for next year and remember to talk about it right away.' We keep those running ideas in a handful of different lists to revisit when the time is right each year. Although the main stage for INBOUND got a Gold Stamp from GenderAvenger, Moran notes that overall diversity needs to be pushed even harder to make the breakout speaking lineup more diverse in 2019. The team will start early, reaching out to different groups: "I think we're just going to double down on those efforts, making sure that all elements are as diverse and representative as we want them to be." I ask Moran if she has any advice for people trying to program an equitable and awesome conference. "This is not easy," she says. "You don't just wave a magic wand at it. But that is not a valid excuse for not trying." Morra Aarons-Mele is author of Hiding in the Bathroom: A Roadmap to Getting Out There (When You’d Rather Stay Home) and founder of social impact agency Women Online and The Mission List.